As a football fan it is sad to see any team being relegated from the Premier League but when everyone sees the writing on the wall after only a few games into the season, why weren't the highlighted problems resolved? Poor recruitment was obviously a fundamental reason as to why Sunderland struggled all season but surely we should also look at their Leadership, Purpose, Vision and Culture? For an outsider looking in, the team was set up for failure from the outset with Moyes stating they were in a relegation battle after only a few games. The team looked miserable, the fans looked miserable and it didn't change all season!! It was all about damage limitation instead of really going at it and aiming to achieve dreams. It certainly wasn't anywhere close to the attitude Leicester City brought into the Premier League last year and there was a team lacking superstars but with a great Leader, great fans who believed and a team who were all "on the bus" and culturally together. Even if they had recruited well I still wonder if Sunderland would have performed under a weak Leader and without any real Purpose or Vision? Recruitment alone cannot be blamed here. 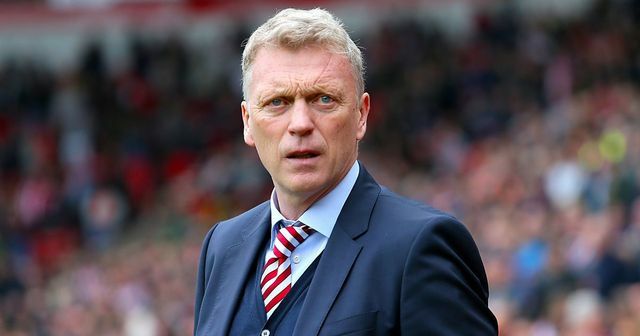 David Moyes admits that poor recruitment last summer laid the foundations of Sunderland’s relegation. The Black Cats’ 10-year stay in the Premier League has come to an end, with Saturday’s home defeat at the hands of Bournemouth sealing their fate. There are mitigating factors, with Moyes taking over just six weeks before the transfer window closed, having limited funds available, little room to add to the wage bill, and players reluctant to join a club seen as perennial relegation strugglers with a history of managerial changes. But nevertheless of the 10 players - including three loans - brought in by Moyes last summer, only two, £14m midfielder Didier Ndong and free agent Victor Anichebe, could be said to have made a real impact over the course of the campaign.